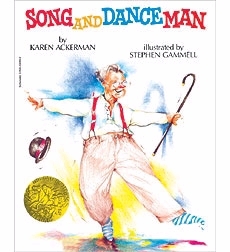 In book club I chose a book called 'Song and Dance Man' and 'The Black Snowman' because I wanted to find out more about the book and they were 'just right' books. Sometimes I read out loud to practise my fluency - to read faster and pronounce the words better and to read with expression. Sometimes my partner reads and I follow with a pencil to help me focus and read more quickly. We discussed about the characters and what happens in the story. We wrote down my thinking. like stepping in the characters shoes and making inferences. Posted in Uncategorized on March 24, 2016 by TriThanh.